Dakotavike wrote: I personally think this would be a great year to trade down. The problem is that I think there’s a lot of teams in the latter parts of the first round that will be looking to move back. From what I hear this isn’t a year that’s deep with true first round talent. Not everybody can trade back and at some point teams are going to have to make a pick. I disagree. The talent in this class is phenomenal in the first 2 rounds. Add to the fact that 5 QBs may go in the first round and you have a lot of talented players to pick from at the end of the first round. Trading back from 30th might net us a 4th rounder, However, this team needs less B/C talent and a few stalwarts. 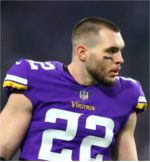 I would love for us to take Hurst in the first and trade up with our 2nd to select Price/Hernadez or Brown if available. I guess maybe I should've worded it differently. I'm no scout, I don't know the college guys as well as most of you. But from the little research I've been able to do it seems like it's a deep class in the sense, and to your point, there's still a lot of good talent to be had in the 2nd and 3rd rounds. But there's not that many guys that have 1st round grades which, to my point, is why I think a lot of those teams in the back half of the draft will be looking to trade back and cash in on some of the 2nd and 3rd round talent. I really had my eye on McGlinchey but it seems like he's been shooting up the draft boards over the past few weeks. I think he may be well out of reach. Does he have 10 picks yet? He likes to start with 10. Raptorman wrote: Does he have 10 picks yet? He likes to start with 10. I think it is more a matter of how many picks we have in the first five rounds (I think we have only four at this point). We have treated the later picks as lottery tickets, spending them on high risk guys like Bohringer and Bucky Hodges. I just read the Wikipedia article for Hodges. Here is what it says. On December 2016, ESPN draft analyst Mel Kiper Jr. had Hodges along with Alabama's O. J. Howard as his top tight ends on the draft board. He gave both a first-round grade, ranking Hodges as the No. 32 prospect overall. Hodges was drafted by the Minnesota Vikings, in the sixth round, 201st overall, in the 2017 NFL Draft. He was the 13th Tight End to be drafted. 720pete wrote: I just read the Wikipedia article for Hodges. Here is what it says. Which provides yet another data point on just how wrong these analysts can be. But that really wasn't my point. Sixth and seventh round picks just aren't worth that much, because by that point in the draft it's just a crap shoot hoping that one of the players will surprise you on the upside. The fact that Brady was picked in the sixth round just proves that taking a chance on a guy can pay off huge; it's just that the odds are very much stacked against you. I would like to see us with more than four picks in the first five rounds. Trading back a few picks from pick 30 is likely the only viable way to accomplish this. I would be quite happy if they traded out of the first, picked up a 4th and used their 6th and 7th round picks to move up a couple spots here and there to get the guys they are really targeting in rounds 2-4. I don't think you can pass on the guys that should be avaiable at 30th this year. Hernadez is a fantastic prospect. As is price and Hurst. Trading out and missing on those guys for Jags would be a mistake. I predict that our pick will be Price. We don't have that flexible guard/center player that Speilmen loves. Yeah, I agree, if one of the best Oline guys are still there at 30, we should take it. Kalil was a fluke imo. Gotta shore up that Oline with at least 1 of our top picks. I'd be very happy with Price. our Ist round pick and the early 2nd I got for it. SS. The DL had value deep and picked up late. and or insurance if we can't keep Barr. That said, I think there is a lot of talent to be had in rounds two and three this year. Trading back from 30 to get another good pick may be a very productive move. Yep. That is part of the genesis of Jimmy Johnson's draft value chart. He didn't want to take best player available. He wanted to move around until the pick he owned matched up with a BPA at his immediate position of need. This is entirely relevant to our 2018 draft position, and moving back from pick 30 could make a huge amount of sense; especially with the QB desperate teams wanting a QB with a fifth year option (like what Rick did when we picked Teddy). I would like our first pick to be Will Hernandez. In the 2nd maybe move up a couple picks for WR Anthony Miller out of Memphis, kid is gonna be great I think. Norv Zimmer wrote: I would like our first pick to be Will Hernandez. In the 2nd maybe move up a couple picks for WR Anthony Miller out of Memphis, kid is gonna be great I think. I love Miller as well. But I think we have to use our first pick if we really want him. He has everything we need to make Cousins more complete. 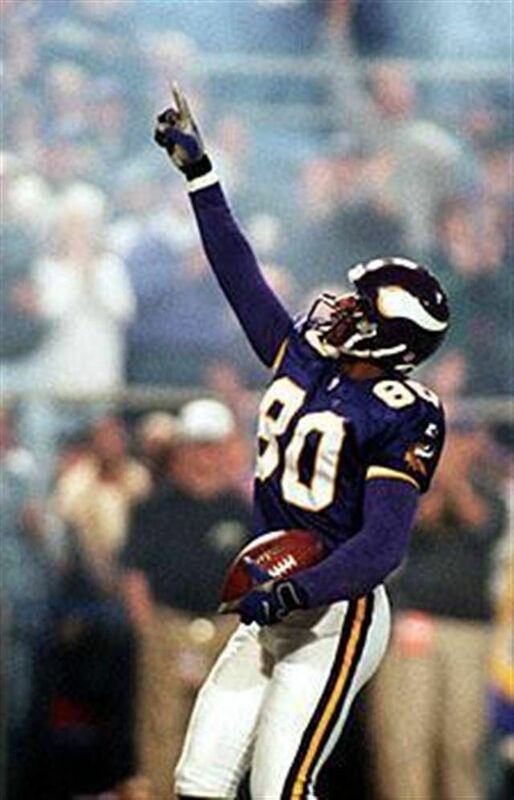 He can run, and if Cousins can get him the ball downfield, he will be the Vikings best WR since Moss. Would love for this to happen but the Oline needs work more then the WRs. heck, even a CB and DT is a bigger need. I think he could do kickoff and/or Punt returns. He is a Percy Harvin without the headaches and attitude problems. He has as good of hands as Diggs, and better speed. Anyone who doesnt know him, look at some highlights on that link Nor Zimmer put in his post. He will impresses you. Personally, he would be my first pick if I was Rick. But I'd porbabbly get fired if the Oline stunk.